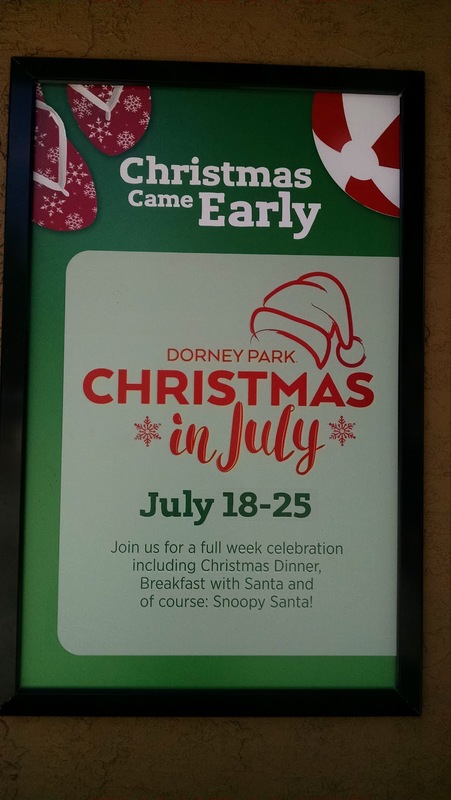 After leaving Hersheypark, we headed for our easternmost park on the trip, Dorney Park, in Allentown, PA, on July 20th. I mentioned that when we were at Hersheypark, Paul McCartney was playing a concert the same night at their concert venue. This created a problem for us when we tried to leave...we wound up being done with the park and Chocolate World at the same time the concert let out. There is only one exit from the parking lot as far as we could tell (poor design), and it took almost 2 hours for us to get out of the lot. Lesson learned. We went to an interesting-looking (historic) hotel in Reading that we thought was about halfway between Hershey and Allentown...but it was still quite a drive from Reading to get to the park in the morning, and we were very tired from getting in so late. 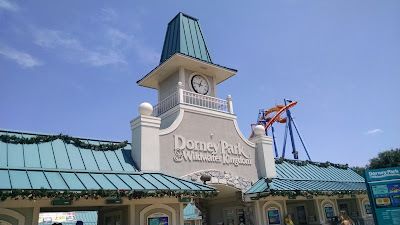 We got to the entrance of Dorney Park at 12:45pm after stopping for lunch. We were here during Christmas in July. Luckily only the area around the main entrance was affected. As we walked through, we heard Christmas music and I got really confused until we realized what was happening; there were Christmas lights and decorations up as well. 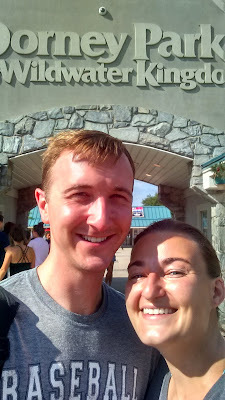 We took our time at this park, recovering from the prior day rushing around Hershey, and did rides and activities we knew we wouldn't have time for at our next park (Cedar Point). We had originally wanted to go down to Philadelphia for a baseball game (we are trying to collect all the baseball stadiums, and despite traveling through a plethora of cities that have baseball teams on this trip, Philly was the only game we would be able to catch), but we were so tired that we decided to nix that idea in favor of taking it slow. 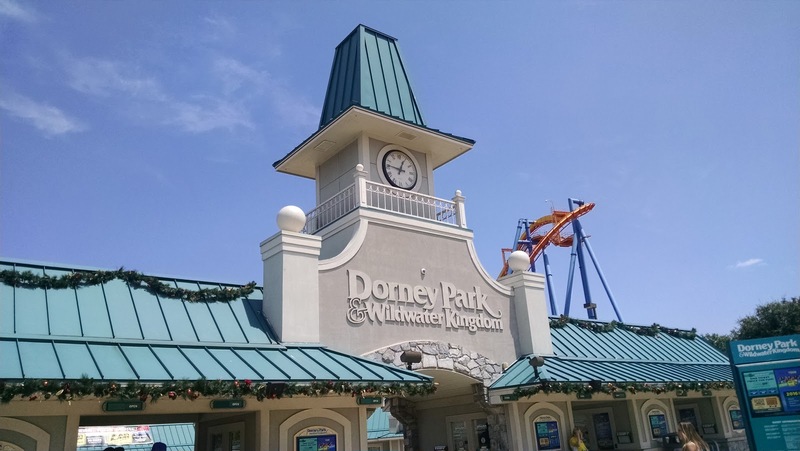 We wound up staying at Dorney Park until 7:30pm, then started heading west toward Ohio. A neat thing we saw throughout the park were signs telling us about the history of that particular area or ride. I'll post those photos with the rides they were near. We also went to the waterpark, Wildwater Kingdom. You can see Eric's write up of our visit to Dorney Park here.